Probably the single most important movie debunking the way big busness spins the media polluting and corrupting potential jurors into depriving their fellow citizens of fair and impartial consideration of the evidence and damages. Everyone knows the McDonald’s coffee case, or at least think that they know about it. Seinfeld mocked it and Letterman ranked it in his top ten list. After all this time the myth of big business lives on. It is routinely cited as an example of how citizens have taken advantage of America’s courts , but is that a fair version of the facts? The movie Hot Coffee uncovers what really happened to Stella Liebeck, the woman who spilled her coffee on and sued McDonald’s, while exploring the reasons why the case garnered so much media attention, showing just who funded the effort and to what purpose. After seeing this film, you will be able decide who really profited from spilling hot coffee. The movie is available online and has been broadcast on HBO Documentaries. 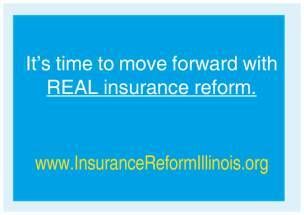 Fact #1: Did you know in Illinois Insurance Reform is the only way to reduce excessive malpractice insurance rates? Insurance reform contained in the 2005 legislation was working, not the caps. Insurance reforms, not the caps, directly addressed the issues of abuses in the insurance industry, which have been a major factor in leading to higher insurance rates. The long-suppressed insurance reforms contained in this legislation have resulted in a 5.2 percent reduction (3.5 percent initially ordered by Michael McRaith, Director of the Illinois Department of Insurance on March 14, 2006) of malpractice premiums and should be heralded as taking a very necessary step in protecting doctors and patients. The law forced malpractice insurance companies to provide greater transparency on rate-setting and payouts that has in turn spurred competition, motivated more companies to enter the marketplace, and lowered premiums for doctors. Thanks to the insurance reforms, Michael McRaith, Director of the Illinois Department of Insurance said "For the first time in the history of the state, [malpractice] insurance companies that want to compete for business in Illinois have access to actuarial information and loss and claims data...We see more companies coming in and a stabilization or decline in actual rates." Fact #2: Did you know Illinois' largest malpractice insurer's payouts have remained flat for over a decade? Illinois' largest malpractice insurer's own data shows payouts have remained flat for the past 13 years, while premiums and profits skyrocketed. Medical malpractice insurance rate increases between 2000 and 2005 resulted in record insurance company profits and gold-plated compensation packages for insurance executives. Medical malpractice claims were not responsible for the increase in insurance rates. Insurance companies have admitted that business conditions and diminished returns on financial investments were to blame. While seeking the damages cap before the General Assembly in 2005, Illinois' largest malpractice insurer promised lower rates for doctors when a cap was passed. Yet, in 2007 and 2008, they kept their rates "steady." Fact #4: Did you know the dramatic increases in malpractice insurance rates in the years leading up to 2005 were not needed to pay claims, because there was no increase in claims? ISMIE'S own data clearly shows that there was NO increase in paid claims. In fact, the number of paid claims was actually stable or even decreasing prior to 2005. Tort reform advocates, including American Tort Reform Association general counsel Victor Schwartz, admit that frivolous medical malpractice suits against doctors are uncommon, "There is no question that it is very rare that frivolous suits are brought against doctors. They are too expensive to bring." After the cap became law, ISMIE representatives admitted under oath that there was no actual data to support its claim of an increase in frequency of claims. According to statements filed with the Department of Insurance, ISMIE's total annual payouts have been stable while it has collected twice as much or more in premiums each year. The Illinois Supreme Court recently threw out damage caps in a medical malpractice case involving four-year-old Abigaile Lebron of Chicago. Tort reform has become a sort of all-purpose Republican cure for what ails the American health care system. Indeed, long before GOP leaders acknowledged any need for health care reform, Republicans were pushing caps on damages in medical malpractice suits. Now that a majority of Americans - 75 percent in a poll released Friday - see the need for health care reform, Republicans are trotting out damage caps as a way to control soaring health care spending. Their claim likely will get a prominent mention from GOP leaders at President Barack Obama's bipartisan health care summit on Feb. 25. There might be good reasons to consider changes in how malpractice suits are handled. But the idea that tort reform would significantly slow, or even alter, the trajectory of U.S. health care spending is not among them. The nonpartisan Congressional Budget Office recently estimated that tort reform could save $41 billion over the next decade, a figure now being touted by proponents. To most of us, $41 billion is a lot of money. In the world of health care, it's a tiny drop in a very large ocean. Between now and 2019, annual health care spending will increase by $2 trillion. Not to $2 trillion. It will grow by $2 trillion, from $2.5 trillion to about $4.5 trillion. The projected savings from capping malpractice awards works out to a 2 percent reduction in what we otherwise would spend. To think that would significantly change health care costs is like believing that a Mack truck can be diverted by a June bug - even a moderately large June bug - hitting its windshield. There are reasons to suspect even that analogy overstates the result. Most of the projected savings from tort reform presumably would come from reducing the practice of "defensive medicine" - extra tests doctors sometimes order to protect themselves from being sued. But capping malpractice damages - and not even all damages, just those for what is commonly called "pain and suffering" - does not reduce the chance that a patient will sue. So why would doctors stop practicing defensive medicine? One rather cynical answer is that the caps might reduce the chances that at least some patients could sue: The elderly, young adults and the poor. So-called economic damages represent the largest part of malpractice awards. 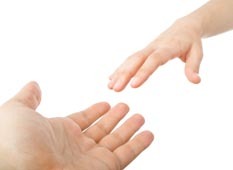 They are intended to be payment for things such as lost wages or future medical costs. Elderly patients already are out of the work force, so their economic damages are minimal. The same is true of young people and poor people whose lost wages may not be enough to cover the cost of bringing suit. Republican dogma holds that too many "frivolous" malpractice cases already are filed by "greedy trial lawyers." The evidence says otherwise. Most malpractice victims never sue and never get compensation, suggesting "trial lawyers" are missing a lot of business. One recent Harvard study, based on records in New York hospitals, found that fewer than half of patients who suffered what physician reviews considered to be malpractice actually bring suit. That's not the only flaw in the current system. Some people who didn't get bad care - just a bad outcome - sue. Those cases should be weeded out. But damage caps won't do that. The only people affected by damage caps are those who were harmed by preventable errors. Making the system fairer to doctors and patients is a worthwhile goal. But selling "tort reform" as a miracle cure for health care spending? That's just snake oil. Fact #3: Did you know Illinois Department of Insurance has reported medical malpractice insurance reforms were working? The insurance reforms contained in the 2005 legislation were working. So much so that the Director of the Department of Insurance is encouraging insurers go comply with the reforms after the law has been overturned. According to a February 20, 2010 press release issued by the Illinois Department of Insurance, "The 2005 Reform Laws imposed changes to the Illinois Insurance Code that improved insurer reporting and transparency requirements and enhanced the Department's rate oversight authority." According to this same press release, since 2005 the Illinois Department of Insurance cites improvements in the medical malpractice insurance market, in particular they observed: a decrease in medical malpractice premiums, an increase in competition among companies offering medical malpractice insurance, and the entry into Illinois of new companies offering medical malpractice insurance.